Call 239-494-5421 to schedule your first appointment. Anyone in Naples who has noticed changes to his or her hearing is invited to come to the Miracle-Ear® hearing aid center to learn more about addressing hearing loss. We can give you a free hearing test* to give you a better idea of your strengths and weaknesses, and we can provide you with an overview of how our products can enhance your hearing. No matter what types of environments you often find yourself in, we'll be able to improve your ability to participate in the activities that are important to you. Our GENIUS™ Technology has several features that can help you focus on the conversations you want to be a part of. Directional Focus technology allows you to more accurately hear sounds in front of you. VoiceTarget 360 lets you concentrate on sounds in any direction, and the Wireless Windscreen feature blocks out wind noise that can make it difficult to hear. These hearing aids are intended to be user-friendly, and you can even make small adjustments to your sound by using the GENIUScontrol app** on your Android™ or Apple® smartphone. The Miracle-Ear network consists of over 1300 locations nationwide, and our customers come to us with a variety of needs. Visit our location if you've been looking for hearing aids in Naples, FL. We're ready to serve you as you discover and experience the Miracle-Ear® advantage. Keith has lived in Naples for 14 years. He enjoys traveling, bocce, shuffleboard, cards and shooting pool. Keith joined the Miracle-Ear family in 2012. Miracle-Ear has been a blessing to help me with my serious hearing problem. I have been very pleased and truly satisfied with the service I receive. Jim Lafferty was born in Connecticut and grew up in Long Island, NY. He later moved to Vermont where he spent many years working with foster children. In 1997 he relocated to Florida. He later pursued a career as a Hearing Aid Specialist and is currently licensed in Vermont and Florida. Jim has been with Miracle-Ear for 6 years, where he has enjoyed helping those with hearing loss to open their world back up to the wonderful gift of hearing. Rachel joined the Miracle-Ear family in 2014. Rachel is a state-licensed Hearing Aid Specialist and can be found dedicating her time between our two Naples offices. Rachel is a member of the International Hearing Society (IHS) and the Florida Society of Hearing Healthcare Professionals (FSHHP). 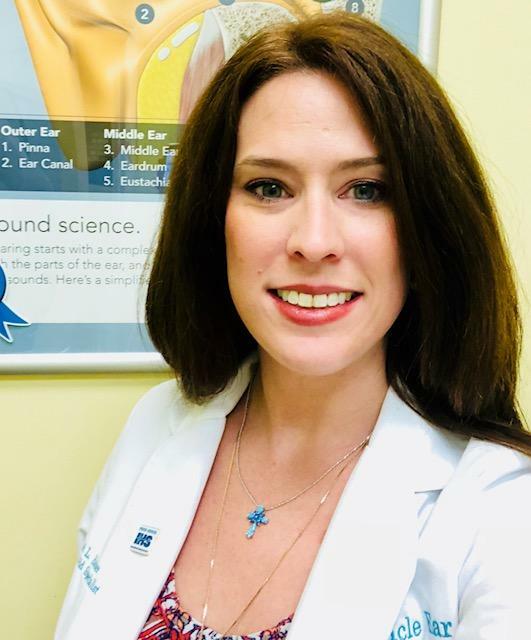 She finds the ability to help patients achieve a better quality of life, by meeting their individual needs with the latest technology in hearing healthcare, to be the most rewarding aspect of her career. The TV attachment is great. Getting the volume back in both ears! Thank you Rachel. Everyone in the office was very friendly and helpful. 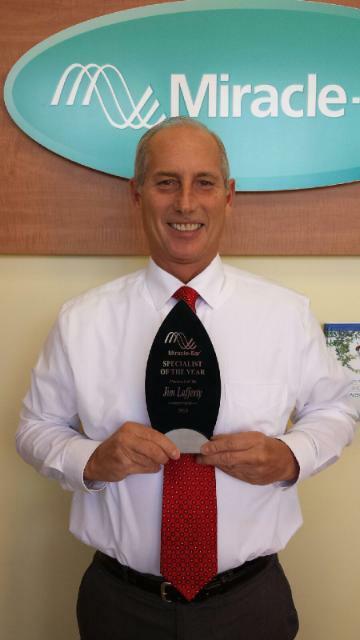 I would recommend Miracle Ear in South Naples. HEARING! What a relief, the product is appropriatly named. I would reccomend for anyone to come here, the product and service is excellent. Jim's expereince really is evident. The whole experience was awesome and very enjoyable. Everyone was friendly and helpful. Totally satisfied with all of my experience with Miracle-Ear Naples. Jim my Hearing Aid Specialist is the most competent and his assistant Rachael has been professional, courteous and helpful.